Digital cameras are a huge improvement over their older film-based counterparts, but they have one gigantic drawback: all the pics you take generally end up buried on your hard disk, never to be seen again. Fortunately there’s a solution. 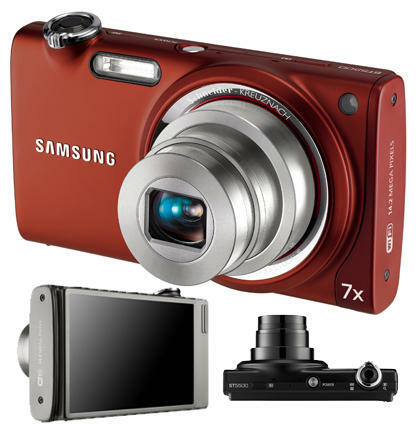 The latest generation of digital cameras have all manner of social photo features that let you upload your pics to sites such as Flickr, Picasa and even Facebook with absolute ease. Let’s start with one of photography’s biggest guns – Kodak. 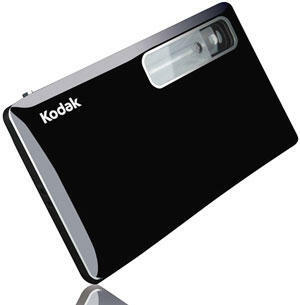 This sleek number is one of Kodak’s newest devices, the Kodak SLICE, and it’s bursting with technology to bring your pictures to the web on a device barely bigger than a mobile phone. The SLICE has a massive 14 megapixels with a 5x optical zoom (never trust digital zooms) and has a very cool 3.5″ touchscreen interface on the back making it simple and intuative to operate. It also has face recognition, so you can tell the SLICE the name that belongs to the face, and when you take pictures, it automatically tags them with the right names. This can save you hours on Facebook! The best thing about the SLICE, though, is its one-touch upload feature to Facebook, Flickr or email (and even videos to YouTube). Simply find the photos you want to share, press the ‘Share’ button, and select where you want to share them to. The next time you plug the SLICE into your PC via USB, all the pics are automatically uploaded to the destinations you’d selected. There’s absolutely nothing for you to do, it’s all taken care of for you. The Kodak SLICE is one of the smartest cameras today, and could be the one for you if you want the technology without the fuss. 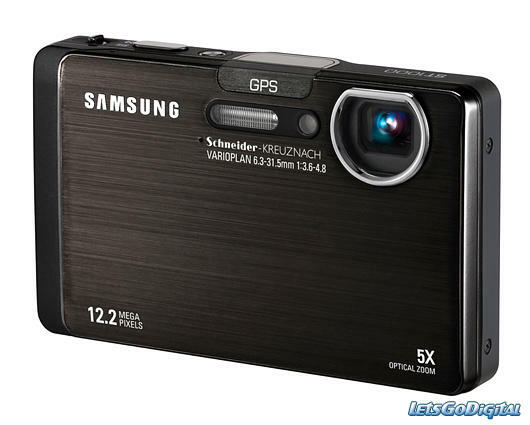 The Samsung ST1000 is a camera that has a trick up its sleeve for all you travellers out there – GPS. No, you can’t use it to find your way to Rickmansworth, the GPS is there for Geotagging, the simple process of adding location data to each shot. So what esle does the ST1000 pack in to its little case? How about 12 megapixels through a very smart 5x inner zoom lens (yes, the zoom is still optical but it’s inside the lens housing!). Not enough? How about bluetooth to send the pictures to your smartphone for emailing? Or onboard WiFi to skip the PC completely and email them from the ST1000 itself? Or DLNA networking for viewing the photos and videos on any DLNA device, such as an HDTV? Phew! On top of all this, the ST1000 is Flickr compatible (of course) and also boasts working with Facebook, Picasa, YouTube and Samsungs own photo website. This is definitely one for the travelling social media enthusiast. The must-have phone this year has arguably been Samsung’s Galaxy S, and its biggest draw has been its luscious AMOLED screen. Anyone who’s seen one will rave about their vibrant colours and unrivalled contrast. So what kind of device could also benefit from a display with vibrant colours and unrivalled contrast? A device concerned with imaging maybe? Stwp forward the Samsung ST5500, the world’s first camera to have a beautiful 3.7″ AMOLED touch screen integrated right into its frame, giving superb and accurate previews of the photographs you’ve shot, taking much of the guesswork out of how well the colours and shade have come through its 14 megapixel 7x optical zoom lens. However it’s not just a camera with a pretty screen. It’s got the same Wifi / DLNA / bluetooth connectivity of its little brother, the ST1000, and also like its sibling, it will upload to Flickr, Facebook, Picasa and YouTube. You can even use the wifi to email straight from the camera. The ST5500 also has some clever ideas about control – yes, you can control it by touching that lovely screen, but you can also control it by tilts and shakes, scrolling through your pictures with a shake of the wrist! If you like the look of the ST1000 but want that little bit more opulence and image control, the Samsung ST5500 is for you. The gear above is great, well specced and impressive, but it’s also expensive. 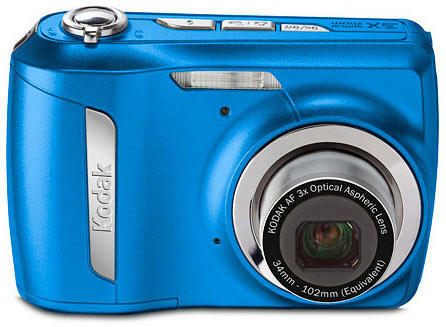 A much less expensive option is the Kodak Easyshare C142. Coming in at nearly a quarter of the price of the SLICE, this is social media photography at its simplest. A solid little camera, the C142 still packs an impressive 10 megapixels through a 3x optical lens, and it also boasts a 2.5″ LCD screen, so it’s no slouch technically. The C142 is the modern embodiment of the simple point-and-shoot you had for holidays, so while suited to the kids, it’s also at home with people who don’t want to worry about shutter stops, white balance and ISO speeds but just want to take snaps. Nowadays we don’t get them developed in an hour at Boots, we upload them, so the Kodak makes that easy too – it’s not called Easyshare for nothing. There’s even a button for it, called – wait for it – Share, which you use to mark the images you want to er, share. Come on, it wouldn’t be easier if it uploaded them for you would it? Hmm, well actually it does do that too, taking your share tagged images and uploading them to your profiles around the web. See, now it can’t be simpler unless it went on holiday for you and took the pictures itself, and where’s the fun in that? The Kodak Easyshare C142 isn’t for photographers, it’s for you, the person who just wants a good value and simple to use camera to take a decent picture. There will be some amongst you who have your perfect digital camera, such as a Panasonic Lumix, but find it’s not very good at sharing. However, you’re certainly not going to trade it in for one that does, as the camera you’ve got gives much better results (particularly true if it’s a DSLR you’ve got). So what do you do? Simple: you buy an Eye-Fi. 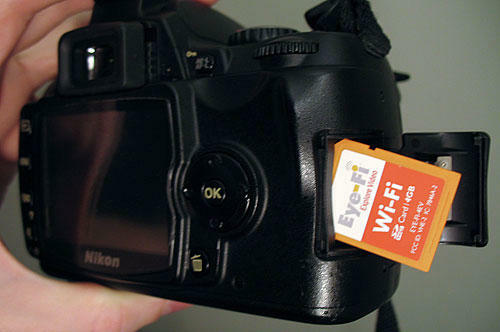 Using some sort of technology voodoo, the clever bods at Eye-Fi have shrunk a wireless dongle, 8GB of memory, geotagging and “endless memory” into a regular Secure Digital card that’ll pop in a SD card compatible camera (which is most of them). With the Eye-Fi, you go out and take your pictures as usual, treating it like a regular 8GB memory card. Then when you return home, you switch on your PC and your camera and you go and make a cup of tea. While you do that, the Eye-Fi sends your images wirelessly to your PC – it really is as simple as that. But what if you’re not near a PC? Well you can even set the Eye-Fi up beforehand with your favourite social site (and trust me, it’ll work with nearly all of them – Flickr, Picasa, MobileMe, SmugMug, Photbucket, webshots…you get the picture), and the Eye-Fi can upload them through Wifi. Let’s not forget Endless Memory either – it basically senses when the card is nearly full and automatically uploads your images, clearing space on the card invisibly to you. Eye-Fi is an excellent solution for those who want to keep the camera they love, plus it’s also the best option if you want the easy life with its simple wireless uploading. So that’s 5 devices to get your pictures out onto the web with the absolute minimum of fuss. There’s a wide variety from the great value C142 to the very cool SLICE, with some excellent gear inbetween. You can even get in on the social action even if your beloved camera isn’t quite modern enough. So now you have no excuses not to go out into the world and bring back some memories to put on the web, without losing hair over it. So much better than leavin gyour pictures buried somewhere on your hard disk, lost amongst the thousands of others and never to be seen again!